Looking back over the years I don't consider myself to be afraid of technology. There have been computers, phones, tablets, GPS units, scanners, printers, televisions, various players and most of the electronic brick-a-brack that many households have. There have been moments of frustration but I can say that everything works or worked in the end. Then there is the Cateye Stealth 50... I have spent hours trying to do everything that this cyclocomputer is capable of, but I have failed. Does the unit work? Yes, to a degree. Was it an easy process? No. Cateye has been around for a long time. I remember using their cyclocomputers back in the late 70's. They were fairly basic units back then and, of course, if a company wants to remain current then the cyclocomputer has to be packed with much technology to be able to gather and report many aspects of a ride. 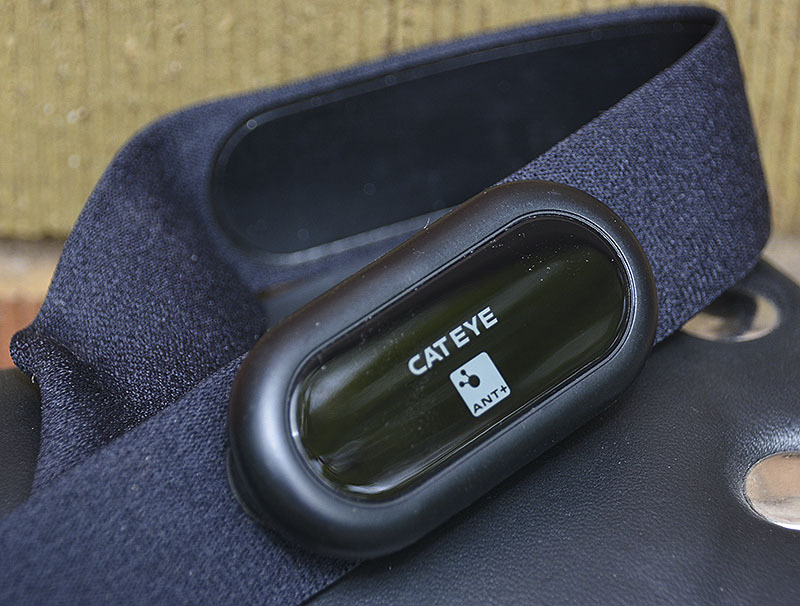 With many companies offering cyclocomputers with on board GPS, Cateye had to offer a comparable product. This is where the Stealth 50 comes into play. The usual is here. Speed, maximum speed, average speed, current speed above or below average speed, trip distance, odometer, time, clock, power, battery charge, and cadence. GPS comes standard in the cyclocomputer base unit and heart rate was available thanks to a ANT+ chest strap/sensor. Speed and cadence are reporting via an ANT+ sensor mounted on the left chainstay, which is activated by a small magnet on the crank arm (cadence) and another on a spoke (speed). To get everything set up you need to pair, or mate, the ANT+ sensors with the base unit. It wouldn't work. I tried for hours and nothing. It turns out I had a bad sensor unit. Not knowing that I had a bad unit, I spent a lot of time going through the online manual for the Stealth 50. In many places it is obtuse and confusing. At one point I had the laptop open with the online manual and the printed quick start manual at the ready. It was a high level of frustration. Getting a new sensor unit from the Canadian distributor Cycles Lambert cured many of the ills and allowed me to pair the unit very quickly. The heart rate monitor also paired quickly. Backtracking a bit, I had a bit of time to use the Stealth 50 without the ANT+ speed/cadence sensor. You still get trip data, but no cadence. The GPS detects a satellite very quickly (less than 30 seconds) and away you go. The speed and distance is calculated by the on board GPS. It won't be as accurate as the chainstay sensor for speed and distance, but it is pretty close. 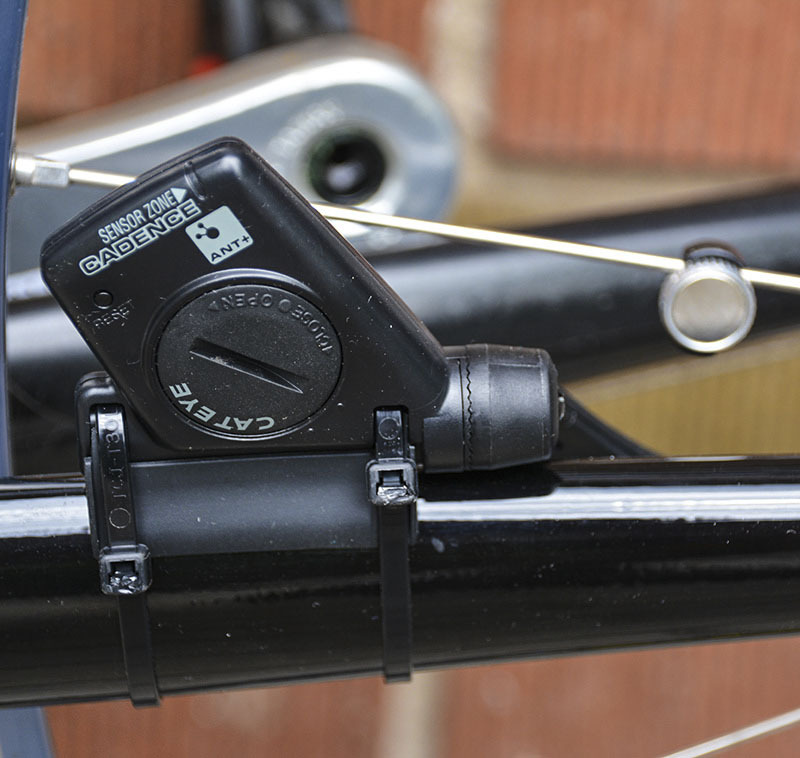 You would thus get usable data with only the base unit mounted on your bars or stem. That is a nice and clean set up. On the other hand you won't get any data if you're using the bike on a trainer. As far as the GPS is concerned, it is not a heads up display. Although the data is gathered, you can't view it while you are on the bike. You connect the base unit to a PC via a USB cable to then connect to something called "Cateye Atlas" online. Then you can view the details of your ride - theoretically that is. Connecting to your PC with the USB cable also charges the cyclocomputer. A full charge lasts about 10 hours. I also discovered something that didn't appear in the manual. The clock won't report the correct time unless you can receive a GPS signal. Drove me nuts for a bit. At the time of writing I can view the data from this morning's ride on the cyclocomputer. However, I can't download that data. That process isn't exactly easy even if things were working correctly. You go to www.cateyeatlas.com, create a account/membership/registration, download the Cateye Sync software and then finally you are supposed to be able to upload the trip and its data to the Cateye web site if you have the right OS on your PC and some other software is up to date. I've tried two different PC's and Cateye Sync says that there is no data to download even though I can see it on the base unit. It is terribly frustrating. I know my ride was 44 minutes long, covering 20.33 kilometres, but the Cateye Sync software says no data. Oh well. There is likely something that I've done or missed in the process but there are just so many layers of things to go through that I'm just not prepared to invest yet more time into figuring it out. In the end, you've got a good looking unit that is really small and clean. However, it might be advisable that Cateye make the unit's connectivity easier. If you're riding every day and trying to keep track of training, plan on spending time to manage the upload to Cateye (uploading to Strava is also an option). At a cost of $279.99 for the base unit, heart rate chest strap/sensor and the speed/cadence sensor it is one of the less expensive multi-function cyclocomputer available. 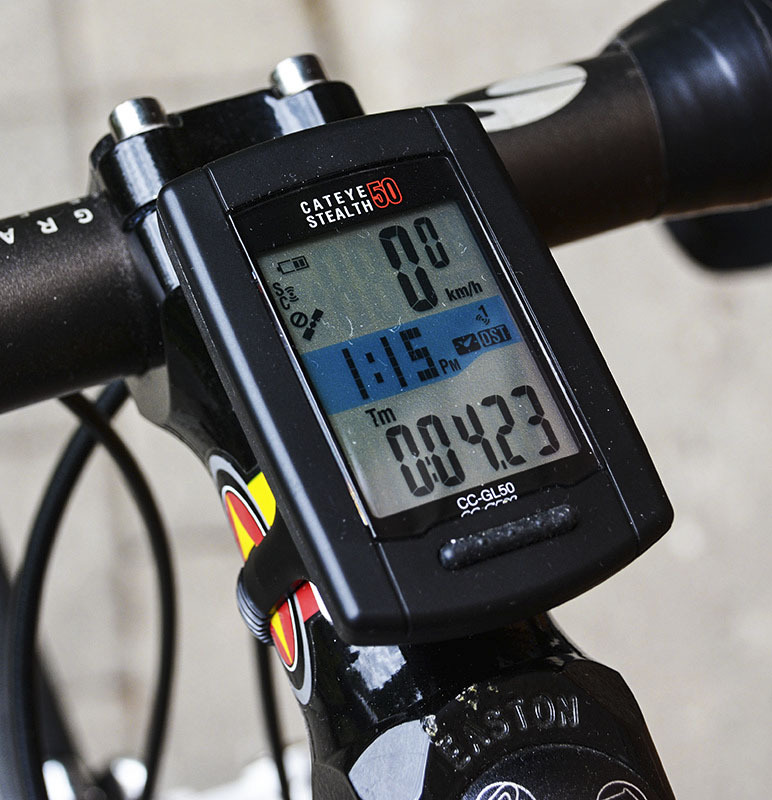 Additional HR or Speed/Cadence sensors are $79.99 each. Sadly, when you get down to it I would expect something more user friendly. If I bought this at my local IBD I would be knocking on their door rather frequently asking for help. It's a good try overall, but this unit has cost me a lot of time trying to sort out and that to me is the deal killer with the Stealth 50. I would pay more for a cyclocomputer that is simpler to deal with. Thanks to Cycles Lambert for arranging the test.